Crew from Sage FFS. 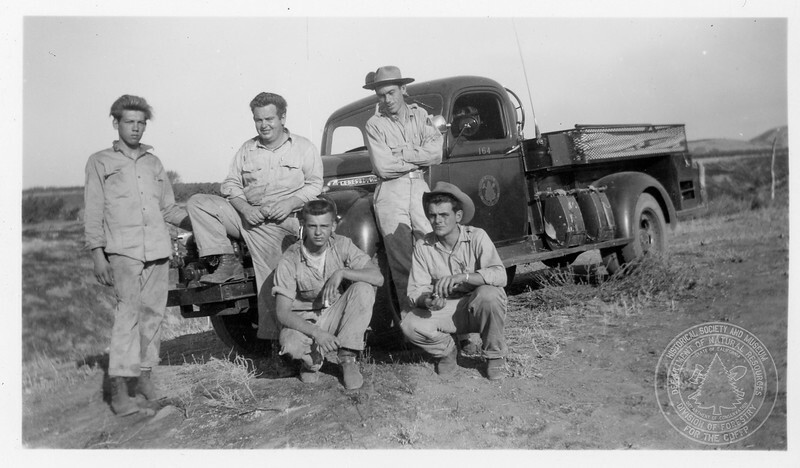 "Fire at Cherry Valley, 1950s. L to R: ? , ? Sloan, ? , Ray Townsend, ?"